(13 October 2010) Today Burberry checks its results which will no doubt continue to be stellar. Growing its Chinese business by stealth has proven very successful as it targets the wealthy Chinese buying their goods in the UK at 35% less than at home. Shouldn’t be long before they open their own stores in key cities there, but will have to localise their range for that market, including the homewares products. For additional insight, read Michael Kavanaugh’s coverage for the FT.
International Marketing Partners Director Allyson Stewart-Allen’s 2001 book Working with Americans highlights, among other things, that even though British and American culture is linked through history and language, key differences in approaches to business are worth understanding. She also revealed in her recent session with the Marketing Week-sponsored Marketing Academy that Americans put less importance on relationships but are more task-focused, and want to see numbers-based results and insights over qualitative commentary. For Nicole McDonnell, marketing director of children’s food brand Ella’s Kitchen, cultural differences in her team’s personality in the US has been very obvious and unexpected. She gives the example of company job titles – Nicole’s business card says “head of making friends”, and the company managing director is Ella’s dad, and his job title is simply that. McDonnell feels this adds to the brand identity, but it has not gone down well with her colleagues on the other side of the Atlantic. Diageo’s Cristina Diezhandino, now regional marketing and innovation director for Africa, also discovered some key differences when she embarked on her first role in the US about 15 years ago. First, that the customary greeting of kissing a business colleague in Spain was not appropriate in the US. Second, that meeting formats were a lot stricter than what she was used to. “Meetings had a set beginning and end, stated in advance, with specific agendas and an outcome to be achieved in that time. What surprised me was that people would simply stand up at the end of the period of time, say goodbye and leave. This is a really interesting article by FC Expert Blogger Kevin Randall – read it and tell me what you think! “A new confluence of market forces (including popular interest in charitable giving post-Haiti quake, the coming of age of the idealistic Millennials, public anger over Wall Street bonuses, the Sustainability movement and near universal hostility directed at BP–“Beyond Pollution”) is requiring brands to be socially “good”–hence more rankings and metrics: Brandkarma.com; PSFK Good Brands. Of course there are already rankings for brand financial value: Interbrand; Millward Brown BrandZ; Credit Suisse Great Brands; Equitrend; brand equity; and brand word-of-mouth buzz/promoting from McKinsey–all of which try to correlate a brand’s score with its bottom line. Add to the rankings list now: Brand Social Currency. The inaugural study was completed earlier this year. “Building Social Currency is probably the most important investment companies can make to create value for themselves,” says Erich Joachimsthaler, Founder and CEO of Vivaldi Partners, the author of the study. He views Social Currency as a new, strategic dashboard to help corporate leaders diagnose, build and monitor the long-term heath and value of their “brand assets” in the shifting marketplace. a>via How to Measure Brand Value: Likes, Followers, Influencers, Views? No, Social Currency | Fast Company. While officials claim most of the oil from America’s worst-ever spill has disappeared, fishermen hired by BP are still finding tar balls—and being instructed to hide their discoveries. Two weeks ago, as federal officials prepared to declare that some three-quarters of the estimated 5 million barrels of oil released into the Gulf over three months had disappeared, Mark Williams, a fishing boat captain hired by BP to help with the spill cleanup, encountered tar balls as large as three inches wide floating off the Florida coast. Reporting his findings to his supervisor, a private consulting company hired by BP, the reply, according to his logbook came back: “Told—no reporting of oil or tar balls anymore. Don’t put on report. We’re here for boom removal only,” referring to the miles of yellow and orange containment barriers placed throughout the Gulf. Williams’ logbook account, which I inspected, and a similar account told to me by a boat captain in Mississippi, raises serious concerns about whether the toll from the spill is being accurately measured. Many institutions have an interest in minimizing accounts of the damage inflicted. The federal and local governments, under withering criticism all summer, certainly want to move on to other subjects. BP, of course, has a financial incentive. The miraculous disappearance of the oil and the pending transfer of $20 billion to Ken Feinberg, who is independently overseeing the claims fund, have resulted in the oil giant cutting back its response operations. With a recent halving of the Vessels of Opportunity program, which hired fallow charter and commercial fishing boats, captains and deckhands are now less reticent to describe their experiences. This includes Mark Williams, who worked in the program until he was deactivated last week. Williams’ saga is typical. In May, he arrived in Alabama from Atlantic Beach, Florida, to captain a charter boat. He got one day of red snapper season before Roy Crabtree, NOAA Fisheries Southeast regional administrator, shut down the Alabama waters for fishing. For the rest of June and much of July, Williams worked off and on as a deckhand on boats enlisted in the Vessels of Opportunity program, including a boat called Downtime that in early June first sighted tar balls and oil sheen in the Pensacola Pass. Williams was also part of the skimming operations at Orange Beach when miles-long mattes of oil washed on to its shores the following weekend. Untrained, Williams remembers putting more than 100 pounds of oil-soaked absorbent boom in debris disposal bags that he was later told should have held no more than 20. Subsequently, Williams saw seven large shrimp boats, with two Coast Guard vessels accompanying them, five miles off shore. “Plumes were everywhere,” says Williams, referring to thin layers of crude oil floating on the water’s surface. “Every time another boat would approach the shrimp boats, the Coast Guard would get on the radio and tell the boat to veer back to shore.” Williams says he believes the boats were putting dispersant on the oil, even though the Coast Guard has denied using dispersant off the Florida and Alabama shores. “The plumes were gone the next day,” Williams says. Back in Florida on July 27, his boat, Mudbug, was activated into Vessels of Opportunity. While the media, BP, and the Coast Guard were reporting no more oil, Williams and other boat captains were assigned to find it. Three days later, Williams found remnants of dispersant in a canal in Santa Rosa Sound north of Pensacola Beach. He reported it to his supervisor, who worked for a company that BP hired to help with cleanup, O’Brien’s Response Management. O’Brien’s was founded in 1982 by Jim O’Brien, a retired Coast Guard officer, who originally called his firm O’Brien Oil Pollution Service, ironically known in the industry as “OOPS.” Over the years the company has been acquired and merged with other response companies; it was hired by BP and Transocean prior to the April 20 explosion of the Deepwater Horizon rig as an emergency-response consultant. After that, Williams was taken off spill and tar ball watch and put on boom removal. In an inlet north of Pensacola Beach, his crew sighted more tar balls. He wrote in his logbook: “Middle of Sound to off-load boom. 1″ to 3″ tar balls—floating—must be old—told [supervisor] at end of the day.” That’s when he was told not to make the report, but rather to simply gather up the boom. Williams was deactivated from Vessels of Opportunity last week. Last Tuesday, the day before he was dropped, the boat captain wrote, “Coming back p.m. from Ono Island. Counted 12 oil plumes small in comparison to offshore between range marker and decon barge.” This was a week after Carol Browner, a top energy adviser to President Barack Obama, announced 75 percent of the oil had been contained, evaporated, or dispersed. Williams never believed the reports that the oil had disappeared. “It’s out there and we will see it continue to wash up on our beaches,” he says. 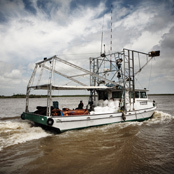 The Daily Beast received a similar account from the Mississippi Gulf Coast, where commercial fisherman Mike Stewart of Ocean Springs has tried to get state officials to recognize that oil and dispersants remain in the waters off their shores. Since the first of August, Mississippi fishermen have found oil in the marshes of their barrier islands, seen massive fish kills and scooped up submerged oil in Pass Christian. Nonetheless, Bill Walker, director of the Mississippi Department of Marine Resources, declared on August 9, “there should be no new threats,” and issued an order for all local coastal governments to halt oil disaster work being funded by BP money that was granted to the state. Walker challenged anyone to prove there was still oil in Mississippi waters by calling his office. As of Friday, August 13, Walker told media that he had not received any phone calls. Stewart even has a video on YouTube showing his crew dipping an absorbent cloth into the Gulf water three-quarters of a mile off the Mississippi beaches. When it’s pulled out of the water after less than two minutes, the cloth is covered with oil. There is so much oil on the surface that it reflects sunlight like a mirror. There, too, the commercial fishermen are concerned about the dispersants. Correction: This article initially reported 5 billion gallons of oil were released in the Gulf; it has been updated to 5 million barrels. Rick Outzen is publisher and editor of Independent News, the alternative newsweekly for Northwest Florida. Why isn’t BP showing these US television ads in the UK and other EU countries where their image has also been badly eroded? This one ad has had 847,091 views to date: via YouTube – MuseOfMarketing’s Channel.